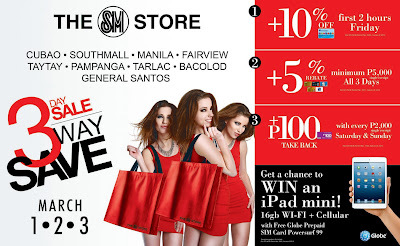 Home / Devant 3D Smart TV / instagram / Las Pinas / March / online / promo / raffle / sale / sm advantage card / SM Department Store / SM Southmall / summer / The Big Sale / The Big Sale at SM Southmall! 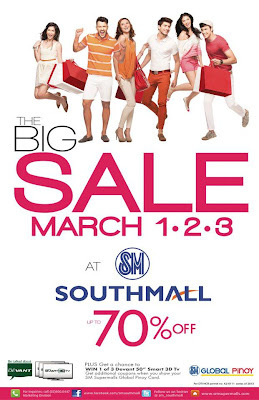 The Big Sale at SM Southmall! It's time to hit the road down south again as SM Southmall, one of the prime malls in the southern cities, holds it biggest and happiest sale at the start of summer season! 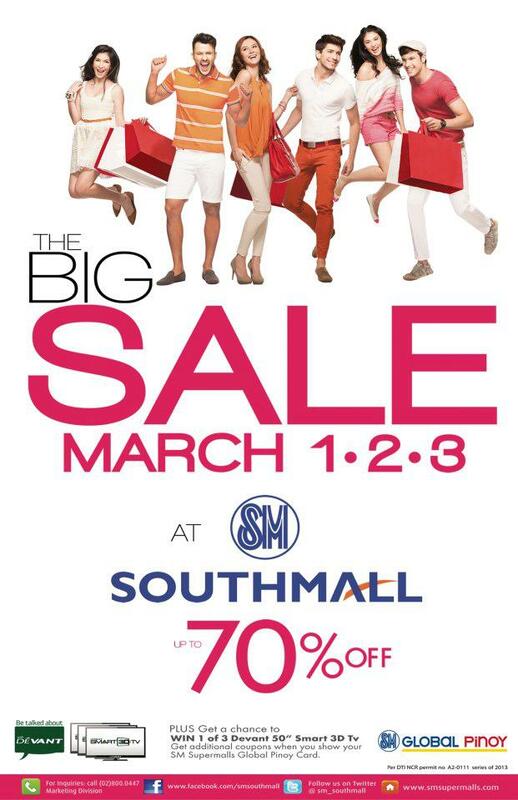 It's time to get those tank tops and beach shorts at a very affordable price once again at the Big Sale at SM Southmall! Happening this Friday, Saturday and Sunday, March 1, 2 and 3, avail you most desired summer outfits and thingamajigs for a make over worth spending with sun, sand and water! With as much as 70% off on selected items, enjoy spending you hard-earned money in this exciting sale of the season, adn who know, you might win one of those 50" Devant 3D Smart TV! I was as SM Southmall on its last sale, and I must say, that there's really something about south that just made me shop more! From furniture, appliances, apparels and whatnot, SM Southmall is opening its door again to its loyal shoppers for them to avail their most longing items at a very pocket-friendly price! And if last time I was there to shop for some cold weather outfits for myself, I guess this time, I'll be shopping cute and flowery pieces, not for me, but for my very cute niece, Elaisha Monique! Oh, I just can't stop shopping for her because she is so pretty like a doll! Hahaha! If you wanna avail additional discounts, don't forget to be at SM Southmall tomorrow, on its first two hours, and together with your SM Advantage Card, avail addition 10% discount on your purchased items at the SM Department Store. 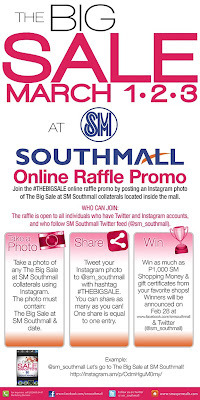 Lastly, if you are as competitive as me and likes winning something, well, this is your chance to win some lovely gift certificates from SM Southmall as they are also launching their Online Raffle Promo. If you have an Instagram (which I hope you have), all you have to do is take a picture of you or your acquisitions with The Big Sale at SM Southmall collateral around the mall and post it on Instagram tagging @sm_southmall. 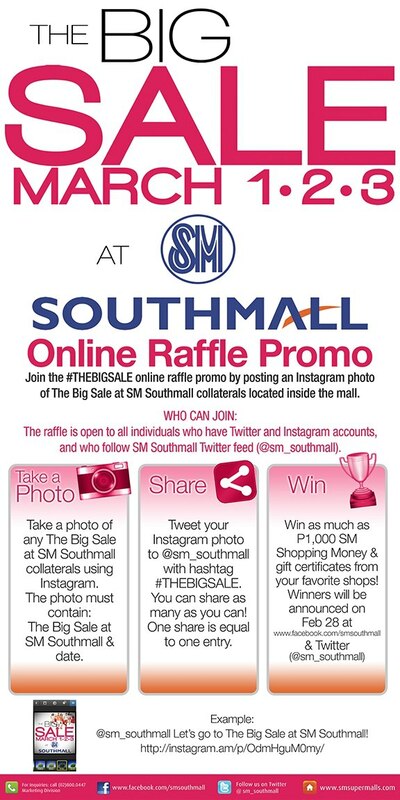 Make sure that your Instagram is connected to your Twitter too, so SM Southmall Twitter account can see your entry, all right? Well, I guess, all I can say now is SEE YOU ALL TOMORROW! 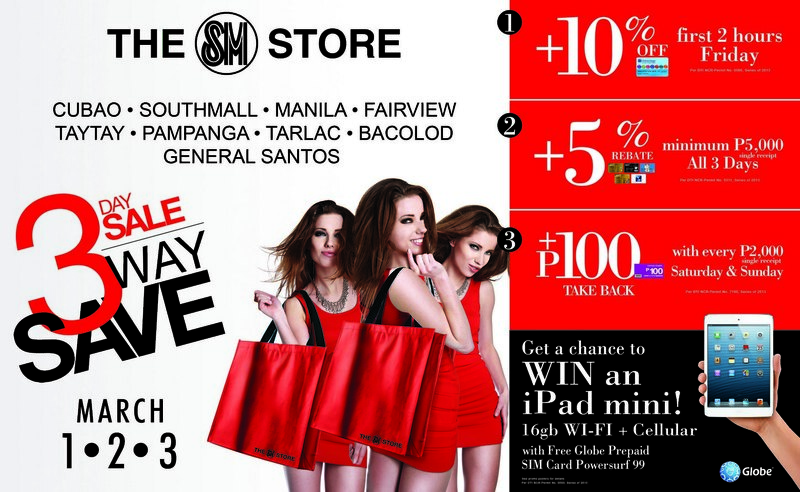 Friday shopping is more fun at SM Southmall! Wee!